Bellshill Golf Club aims are to promote a contemporary and forward thinking dress policy in line with a modern day golf club. It is in our interests to maintain reasonable standards of casual but smart dress in keeping with traditions. The wearing of anoraks is permitted in the Small Bar, but not in the Main Lounge. Persons in transit through that area may wear anoraks. No individual may enter either area when wearing golf shoes. 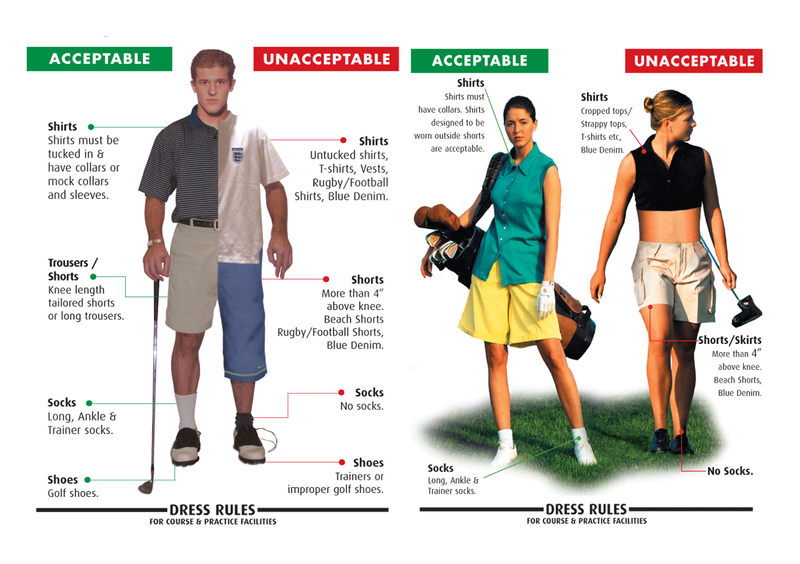 Golfing attire is required for all players that play the course. Trousers must not be tucked into socks. Golf shorts reaching to the knee are permitted. They must have belt loops, 2 side pockets and at least one hip pocket.